These dogs are prone to hyperfibrinolysis syndrome, a severe bleeding disorder. You know that feeling when a missing a puzzle piece falls into place and suddenly everything makes sense? This happened to me recently when I read about a bleeding disorder that affects sighthounds, especially Greyhounds. Let’s take a deeper look at what I uncovered. Meet a rescue Greyhound called Maisie. She was a typical thin-skinned girl who’d torn a hole in the skin over her hip. The wound had been sutured but had broken down. By the time I saw her, it was clear that a small skin flap was necessary to heal it. The surgery went like a dream. The flap slid beautifully into place with no tension, and it looked great. All seemed well until Maisie got out of bed to go home. Suddenly, the wound started to bleed. A drip, then a trickle and then a stream of bright-red blood following her across the floor. Nothing made sense. There’d been no bleeding during surgery, all the vessels were securely tied off and the bleeding started several hours later. On the working diagnosis of a bleeding disorder (an inability to clot blood), a pressure bandage was applied and Maisie was hospitalized until she was out of danger. The mystery deepened when her clotting panel came back normal, but the wound continued to seep for about 7–10 days. Happily, Maisie made a full recovery, but it left me feeling uneasy about the big question: Why had she bled? Reading a veterinary journal earlier this week, I came across a case report of a Greyhound saluki cross that sounded eerily like Maisie. The dog had been involved in a minor fight and sustained unremarkable puncture wounds. But a few hours later, he started to bleed … and bleed … and ended up at a specialist for a blood transfusion and emergency IV therapy. This was the result of “hyperfibrinolysis syndrome” (yes, I know, a bit of a mouthful!). These dogs have high levels of a normally helpful enzyme, which breaks down blood clots. There are times when you do want blood clots to break up (such as in a stroke), and it’s all part of the natural healing and remodeling process. However, too much clot buster and it’s a busted flush when it comes to stopping hemorrhage. And there’s no test that can reliably predict which dogs are affected. One theory about why sighthounds are affected is their athleticism. 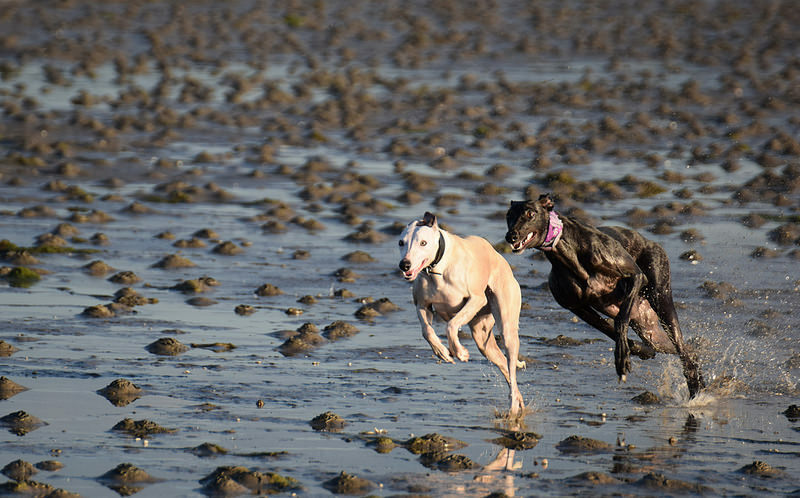 Greyhounds have unusually high numbers of red blood cells to carry enough oxygen to supply those amazing bursts of speed. However, this means their blood is thicker than other dogs’ and more prone to form micro-clots. These micro-clots can clog up the kidneys and damage them, so blitzing them in a bizarre game of “Space Invaders” helps keep athletic types healthy. Presumably, this mechanism gets switched on at inappropriate times, leading to complications after surgery with dogs such as Maisie and others. Happily, the condition responds to a drug that knocks out excessive amounts of the clot-busting enzyme. This brings the dog back to normal. Better still, the drug has a wide safety margin, so there’s little danger of the disorder swinging the other way and causing strokes. So far, there has been no study about how to make sighthound surgery safer. However, one recommendation by Dhumeaux and Dor* is to give dogs TEA tablets for 2 days before and 7 days after surgery to reduce the risk. If you have a sighthound, how do you feel about giving an unproven treatment prior to surgery on the off chance of post-operative bleeding? Let me know in the comments. 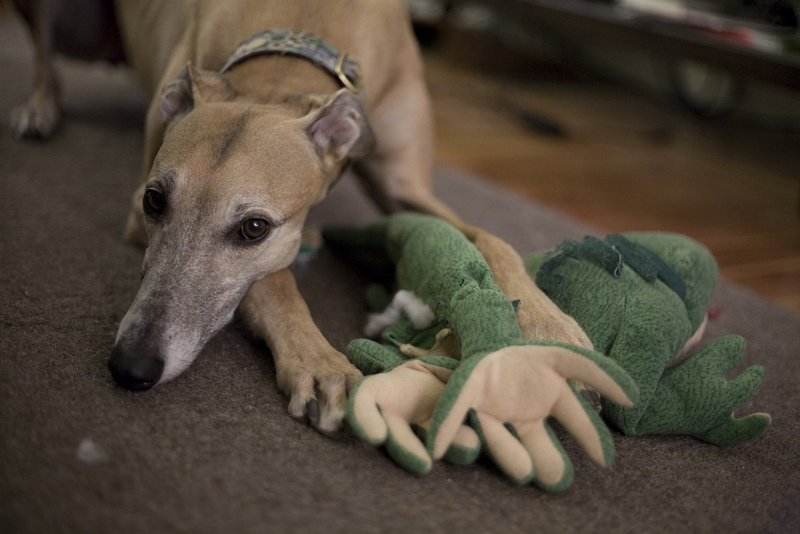 *Dhumeaux, M., & Dor, C. Greyhound fibrinolysis syndrome: A breed-specific disorder. Pride Veterinary Center Hospital. Garcia et al. Postoperative bleeding in retired racing Greyhounds. J Vet Intern Med. 2008;22:525-533. This pet health content was written by a veterinarian, Dr. Pippa Elliott, BVMS, MRCVS. It was last reviewed May 12, 2017.